Everything in the world plays into our Earth's ecosystem. Each species has a role in keeping our planet going - whether its bees who pollunate plants that enable fruit to grow or predators like the shark that keep other species from overpopulating. The world requires a delicate balance that keeps everything in check. And sadly, there are several animals whose extinction could cause major problems. These animals are critically endangered, the last of the last, the dying breeds. Their deaths leave behind irreparable holes in the circle of life, where everything touches in order to move, like wheels on a pulley lifting unfathomable weights, reaching unimaginable heights. What happens if it all just suddenly stops? You could wake up tomorrow without food, oxygen or housing. The sun could completely overheat the Earth. The jellyfish could overrun the waters. The waters could dry up and be no more. This is what will happen when endangered animals go extinct. The consequences of endangered animals going extinct range from loss of life to lack of wealth to the depletion of Earth’s resources. The ecological impact of extinction of endangered animals could be devastating. Here’s an overview of some of the most endangered animals on the planet, those who are critically endangered. They face extinction today, but we need them around for tomorrow. Here’s what could happen if they die along with how likely it is that they will and why they’re at risk in the first place. Much ado has been made of the dwindling honeybee population and for good reason, too. These bees pollinate the flowers and breathe life into the very crops that sustain our food chain and economic system. That said, the honeybee is just one of several bee species that currently stands at risk of extinction. Approximately seven wild bee species also need our protection. 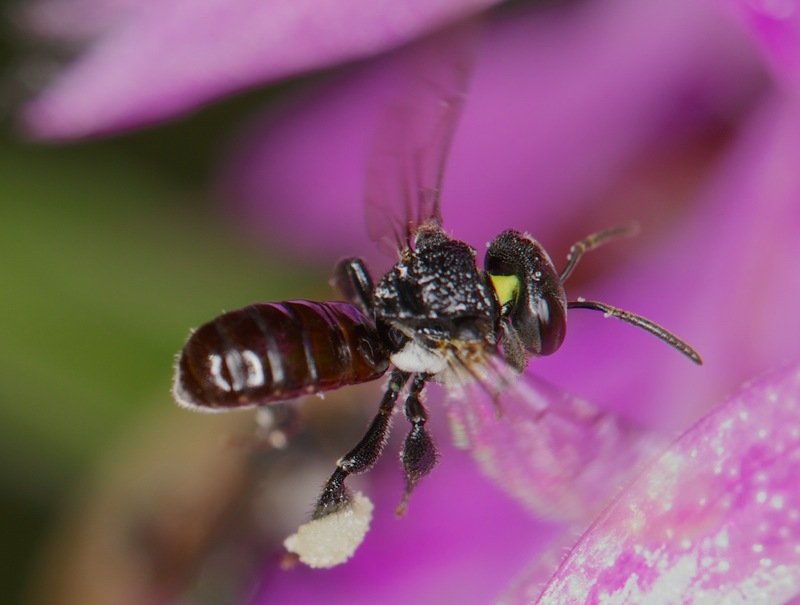 These bees sustain botanical growth in the island regions, specifically Hawaii, where they have recently been added to the list of endangered species. While it may seem unlikely for bees to die out completely, the odds are against them as of late. New threats, such as foreign diseases being carried overseas as non native insects battle for survival against climate change, are popping up every day. Bees have been a staple of the food chain for over 250 million years. Their extinction would be detrimental and probably irreversible. The Sumatran Rainforest and its preservation might seem like the least of your concerns when you look at the big picture. But if it goes - and the animals that live inside it - we might go too. Without the Sumatran Rainforest, a very important resource will soon be depleted - oxygen. The forest creates an estimated 20 to 30 percent of our oxygen supply. The forest suffers from deforestation, and from its animal species that keep the forest ticking dying out. One of those is the Sumatran tiger. There are currently less than 400 Sumatran tigers left on the planet. Without the large predator, the entire ecosystem of the forest is affected. Tigers are the biggest hunter in the forest, picking off smaller animals that feed off the nutrients in the forest. Without them, the forest is overharvested by animals and by people. As the situation stands, the critical endangerment of several wild Sumatran animals has contributed to the current rising sea levels, haphazard weather patterns, and tropical disease infestations happening across the globe. Can the last remaining tigers truly take a stand in these conditions? Only if their habitat remains intact, claim conservationists. For years, scientists have studying moth populations status as a signal of a thriving environment. Scientists believe the amount of moths that populate our earth give a broader sense of how healthy the food supply is for smaller animals - like birds and bats - and how many pollinating insects are pollinating. Scientists are worried that, much like bees, moths are experiencing hardship. That's because the large moth population just experienced a 40 percent decline with several incredibly important moths facing critical endangerment and other moths dying off completely. The list of already extinct moths includes the Bordered gothic moth, the Brighton wainscot moth, and the Orange Upperwing Moth to name a few. On the bright side, some moth species are experiencing a population boom that just might save the planet after all. Though scientists suspect these moths are acclimating to the warmer temperatures. Drought is a serious problem. Believe it or not, the extinction of some animals would only exacerbate the problem. The Amur leopard could serve to further deplete our freshwater supply. This majestic looking predator is being hunted for his lustrous coat which is identifiable by its pale, glossy appearance. The survival of the forest’s ecosystem, particularly the deer population and abundance of freshwater, are protected by the claws of the Amur leopard. The leopard keeps the population of smaller animals in check, which creates a balance for how much water and food is being consumed. Today, there are approximately 60 Amur Leopards left on the face of the planet.